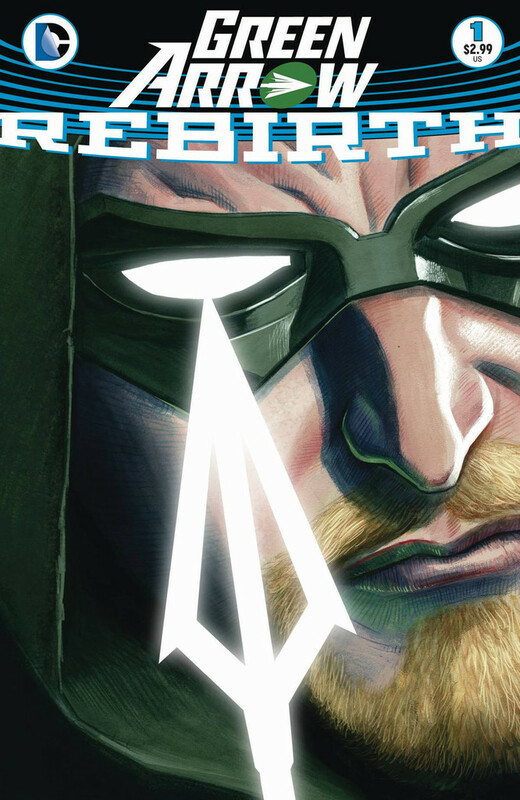 It's only a brief mention with the online retailers today, but the Rebirth Green Arrow Vol. 2 has been solicited for April 2017. The format listing is paperback, but all of this is so preliminary that it could certainly change. It looks like some vendors have this conflated with Green Arrow #2, though the solicitation text is certainly for the post-Rebirth collection; this does at least suggest that the numbering of DC's collections volumes will start over with Rebirth. DC Universe: Rebirth continues with this fresh take on GREEN ARROW from horror novelist Benjamin Percy and rising star artist Otto Schmidt! Collects GREEN ARROW #7-12. Plenty of interesting language there, including that this is "a tale from happier but no less dangerous times"; I'll be curious to see if that's an ongoing thread in the descriptions for other Rebirth-era trades. Not a lot to go on yet, but an indication that it won't be too long until more Rebirth trade details emerge. What are your hopes for the DC Rebirth collections? I really hope that we get some Amazon solicits for volume ones of the Rebirth books, letting us know if they plan on collecting the Rebirth #1 issues or not. You mean the specials (before the #1 issues)? Excellent question. They really should. I know some of them are collected in the end-of-New52 volumes, but I'm hoping that's just for padding sakes. It would make no sense to not collect the specials as part of volumes with the same creative teams. If That's an early 2017 release, I wonder if that means a bulk of Rebirth books will.be out by the Holidays. Most likely, yes. Batman: Night of the Monster Men is solicited to come out in late March, 2017, so I would expect the first volumes to come out in either January or February. My ultimate hope is that DC learns not to double dip so much of their trades. Either give me the story in one big trade where they combine all the volumes that are being crossed over with, or just put out the volumes without the huge event volume that pulls them all together. I'm getting sick of buying the regular trades only to find out I need the event trade because there are some issues missing or it just doesn't read well in regular trade. Case in point: The Green Lantern universe after John's left. I really don't think that's going to happen. We know that each series will get its regular numbered volumes, and the solicitation of Batman/Monster Men suggests that events will also be collected in their own volumes.